Today in Masonic History Samuel Wylie Black is born in 1816. Samuel Wylie Black is an American politician and soldier. Black was born on September 3rd, 1816 in Pittsburgh, Pennsylvania. Black's father was preacher and was considered to be rather dour. Black himself was known as something of prankster and troublemaker. In his youth, Black's father warned him that the circus was an evil place and Black would be thrashed by his father he went to the circus. After considering this, Black told his father that he would opt for the thrashing as he was going to go to the circus. In 1834, Black graduated from Western University of Pennsylvania, now called the University of Pittsburgh. At university, Black became academic rivals and close friends with Thomas Mellon. Both men would go into law. Their academic rivalry turned into a professional rivalry until the two men met one day in court, after a heated argument the two men would dissolve their friendship. This would last until just before the Mexican-American war when Black went to Mellon and told him that he was heading off to fight in the war and the two may not see each other again. They would restart their friendship and it would last until Black's death. During the Mexican-American war, Black was eager to see combat. He became quite upset when he was ordered to remain with the First Pennsylvania regiment, which he commanded, in Puebla. He would attempt to resign from the military, his commanding officer would not accept his resignation. The day that Mexico City fell, Puebla came under siege by a force of 4,000 of Santa Anna's troops. This compared with the 500 soldiers and 1,800 sick and wounded in Puebla. Under constant fire, Black and his men would hold out 28 days and would nearly run out of food. When Black's commanding officer found out about the siege he sent a relief force to break the siege. The were ambushed 25 miles away by Santa Anna's army. After the relief force defeated Santa Anna's army they moved on to Puebla where they broke the siege. In 1852, Black, a Democrat, ran for the United States House of Representatives from Pennsylvania and lost. In 1857, he would be appointed to the be United States Judge to the Nebraska Territory. In 1859, he would be appointed as the Governor of the Nebraska Territory. One notable piece of legislation during Black's time as Governor was the 1860 Act to Prohibit Slavery. Black vetoed the bill and was accused by critics as being pro Southern Democrat. Black claimed he vetoed the bill because he felt it was unconstitutional. The territorial legislature overrode the veto and slavery was outlawed in Nebraska. When Lincoln was elected president, Black would resign as Governor since it was a political appointment and Lincoln was a Republican. 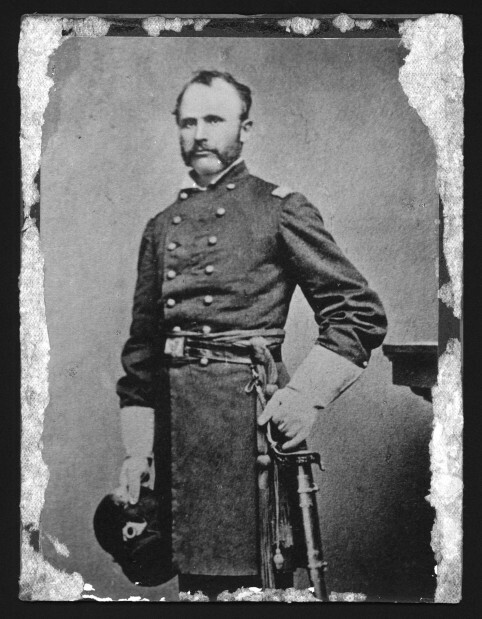 Black would return to Pennsylvania and when the Civil War started and assumed command of the Union Army's 62nd Regiment. At the Battle of Gainses's Mill, Black would be killed in action on June 27th, 1862. Black was a member of St. John's Lodge No. 219, Pittsburgh, Pennsylvania.